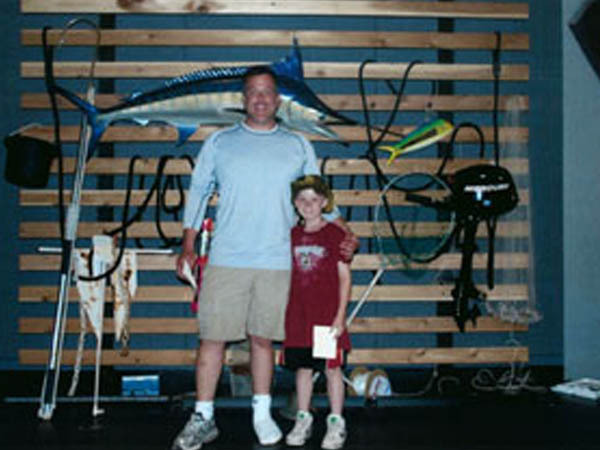 The 2014 winner of the IGFA-Chester H. Wolfe Outstanding Sportsmanship Award, Jason Schall of Charleston, South Carolina, partnered with a boy from his church rather than a professional team to honor the boy's wish to fish during the Ministries2Men Angler's Cup. While fishing for bait prior to the event, Schall accidentally skewered his foot with a heavy spear on the boat. The injury was severe, requiring anesthesia and surgery; however, instead of resting up after his release from the hospital, Schall cleaned himself up, took a two-hour nap and awoke in time to honor his promise to young Conrad. Not only did they compete that day, but they took first place in the catfish category!